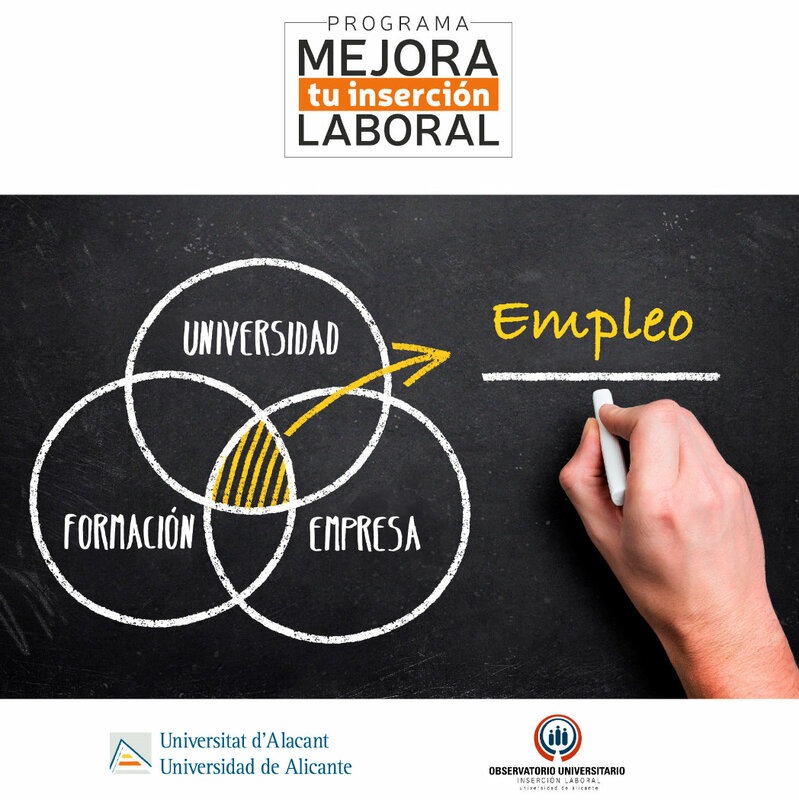 The University of Alicante, through the Observatory of Labour Insertion, sets up the third edition of the Program Improves your Labour Insertion. This program, that develops of 15 February to 5 April 2017, looks for to provide to the student and egresado university the necessary tools to face the process of research of employment of effective form. Of the hand of professionals of the world of the company and through six sessions of training, will work different appearances that affect to this process.